The Pollinator Habitat Plan of the Maryland Department of Transportation, State Highway Administration (MDOT SHA) was developed in response to the 2016 Pollinator Protection Act of the Maryland General Assembly, § 2-1801 Pollinator Habitat Plan, the 2017 amendments to the Act, and in consultation with the Pollinator Protection Plan of the Maryland Department of Agriculture. MDOT SHA recognizes that pollinators are essential to our well-being, and that they are an important part of healthy ecosystems. An estimated 85% of the world’s flowering plants depend on animal pollinators for their pollination and successful fruit development. These crops produce our fruits, vegetables, nuts, seeds, and livestock forage. Wild pollinators, including bees, wasps, flies, beetles, butterflies, moths, and hummingbirds, as well as managed hives of honey bees are experiencing declines due to a loss of habitat, the spread of disease, and various other factors. 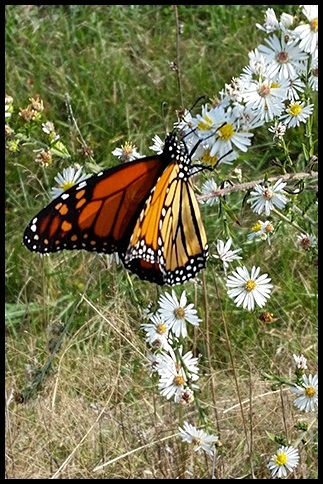 MDOT SHA Pollinator Plan creates naturalized areas planted with native nectar and pollinator-friendly plant species within rest areas and at MDOT SHA office facilities. MDOT SHA will designate locations and seek funding to create pollinator habitat areas. MDOT SHA will commit to creating designated sites with a focus on managing habitat within naturalized gardens and meadows. MDOT SHA Pollinator Plan designated sites will be located at various MDOT SHA facilities around the state. Vegetation at MDOT SHA Pollinator Plan sites will be managed through a variety of activities and initiatives. Designated sites such as welcome centers, rest areas, select office complexes and similar facilities will be managed to provide attractive and diverse plantings that support pollinator habitat. MDOT SHA will maintain turfgrass and meadows in conformance with applicable laws and as needed to support adjacent activities. No pesticides containing neonicotinoids or labeled as toxic to bees, or seeds or plants treated with neonicotinoids will be used at MDOT SHA designated Pollinator Plan sites. Providing seasonal flowers that provide nectar, pollen and nesting sites for pollinators. Providing refuge areas with plants and seeds not treated with neonicotinoid pesticides. Providing educational signage about pollinators and their habitat. You can also get more information by contacting Mr. Bob LaRoche at 410-545-8583.